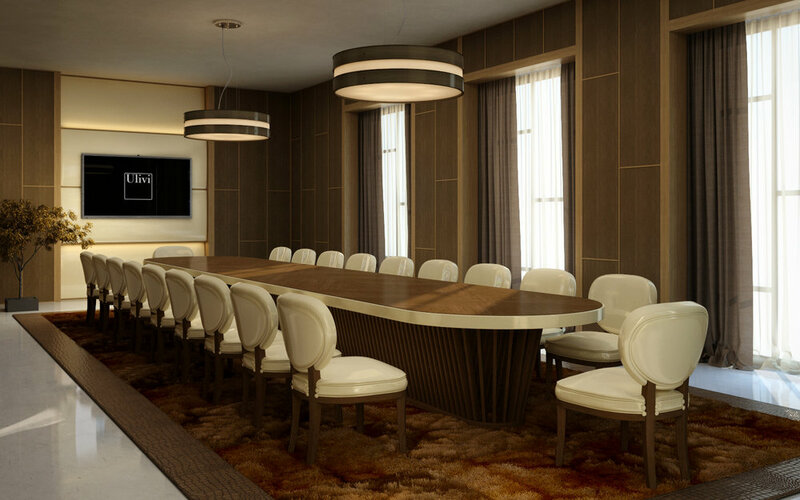 As representatives of premium Italian furniture and lighting brands, we often take pride in the services and products that we bring to the United Kingdom. Such is the case of Ulivi Salotti, our “pride, and joy” where leather is concerned. The Tuscan furniture manufacturer is known around the world as one of the two Italian brands that use vegetable tanned leathers in the production process – it allows the leather on a ready-made product to stay transparent and keep the beauty of its natural veins and patterns. Some of the leathers used include vegetable tanned half calf skin and cattle hides of European origin, known as Etrusco and Tuscan; chrome tanned bull hides known as Nabuk; and cattle hides with different tanning processes that include aniline tinctures, known as River. They are all part of the Extra Luxury, Top and Premium categories. The vegetable tanned hides are treated in barrels, with mimosa tree bark or chestnut extracts, giving each skin its unique colour, transparency and natural unevenness of absorption; each skin is Buffered by hand with vegetable and animal oils that enhance the clarity and brilliance. Ulivi Sealotti was founded in 1972 by the Ulivi family, so we are looking at several full decades rich with tradition and artistry developed within the family business. The company is dedicated to the handcrafted peculiarities that make high-end Italian furniture so precious in this day and age, and it has become a leader in the manufacture of sofas and armchairs worldwide. Their forty-year-long journey was built on the Tuscan history and appreciation of local traditions and artisans and, most importantly, it turned leather and wood – the two main raw materials used in production – into crucial parts of culture and life for both the company and its consumers. The beauty of Ulivi Salotti furniture is that it stays loyal to handcrafting methods while constantly evolving the production process with new technologies. The brand is also excellent at refining its designs across decades of activity, keeping up with the times and delivering modern and contemporary collections – timeless and stylish fits for both residential and commercial use. Ulivi Salotti’s team of designers and manufacturers are often involved in the research process – a company design policy that shows the utmost respect towards the raw materials used and the client’s desire for bespoke options. The brand puts forward a broad range of eco-friendly products and uses naturally tanned leather, finished with natural oils and waxes in the hand-made padding process. The self-awareness for their responsibility towards consumers and the environment is embedded in the company’s brand ethos, and it is something we are always happy to get behind. Firmly settled halfway between handcraft and modern industry, Ulivi Salotti’s history shows how Tuscany is truly the land where family traditions passed down from one generation to another produces some of the best manufacturers in the world. If you ever find yourself traveling through Italy and you see those “Zona Artigianale” signs, you will soon come to understand the magnitude of artisanal traditions on the peninsula. While the production process is sensitive and respectful towards the environment, the prime and rigorously selected skins give each of the Ulivi Salotti furniture collections the character and artisanal quality that makes them so highly appreciated on the interior design market. Most importantly, each of their products comes with a very long life – making for perfect family heirlooms and timeless decors. With collections like Absolute and Anthology, the brand focuses on warm earthy tones, keeping as much of the natural skin colours as possible. Shades of chocolate, coffee, black, and sienna are predominant on shiny leather surfaces, while the designs are simple, modern and easily adjusted to virtually any house or apartment setting. The occasional baby blue and dark red pop up, as they outline the hide’s overall finish and insert themselves as chic apartment complements. 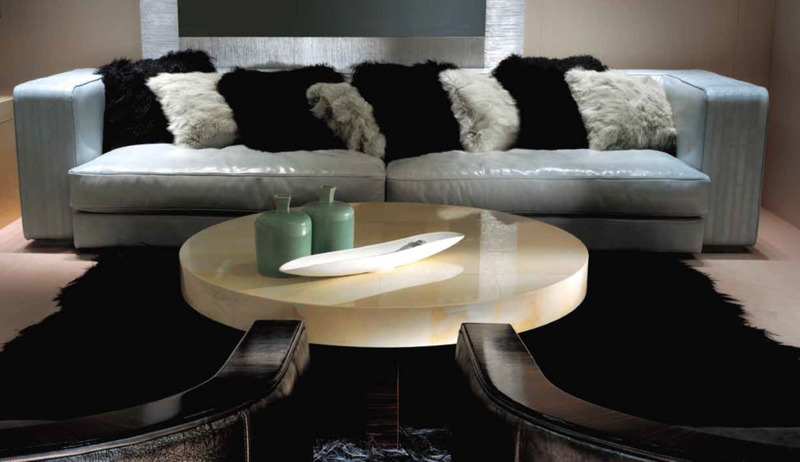 Cosmopolitan, on the other hand, begins to experiment with lighter shades from the same palette, introducing furs and smooth hides into elegant living room settings, while the soft woods are built into imposing dining tables and chic coffee tables. The collection also presents beautiful ways of dressing up the headboards in fine leather, adding to the overall sense of ultimate comfort in the bedroom. The My Luxury collection takes Ulivi Salotti’s craftsmanship to another level, as its master designers and artisans begin to experiment with new surfaces and forms. Rounding the corners and executing beautiful collages of different leathers, hides, and woods, the brand manages to masterfully insert dramatic contrasts and various new colour tones into the ambient. The collection adds textile surfaces to headboards, dressers and shelf-system panels – a fresh take on otherwise classic pieces of furniture. Ulivi Salotti’s creative team also enjoys playing with lighting and accessories – their Mademoiselle lamp is worth noting, along with the Giselle pouf, the Menphis Luxury desk, their shelves and the Infinity line. The constant experimentation and almost-obsessive attention to detail make each piece of furniture into a genuine work of art and design. If you want to find out more about Ulivi Salotti and their services in the UK, don’t hesitate to get in touch – and don’t forget, they are also masters of bespoke furnishings. You can also have a look at our other brands and even join our Members Area to gain exclusive access to the latest catalogues.